From Friday 7 December 2018 until Thursday 31 December 2020: Enjoy 15 % off! From Monday 8 April 2019 until Tuesday 30 April 2019: Enjoy 15 % off! From Sunday 7 July 2019 until Wednesday 24 July 2019: Enjoy 20 % off! Located in an exceptional setting, La Badira hotel is synonymous with relaxation, indulgence and inspiration. 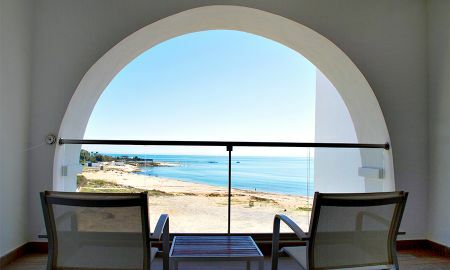 Built in modern style, the establishment is situated in the north of the Medina of Hammamet. It retraces 100 years of success in Hammamet, evoking the spirit of those times. 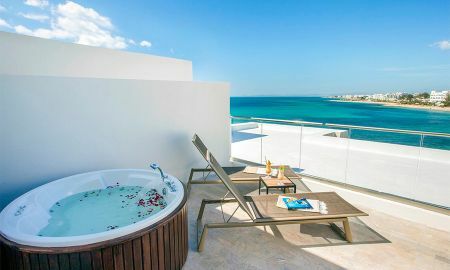 La Badira hotel has 130 suites: 120 junior suites and 10 large suites, 4 of which have a double Jacuzzi and 6 of which a private infinity pool. All suites are fully-fitted with all the amenities necessary to guarantee an unforgettable stay. The decor is unfussy and sophisticated. 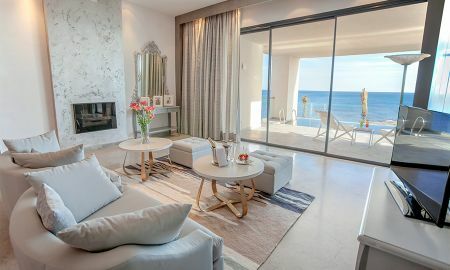 You can enjoy spectacular views overlooking the sea. Every morning, a wonderful breakfast is served in the Zahilah area. The Kamilah and Adra à-la-carte restaurants invite you to discover Tunisian gastronomy as well as foods from around the world. You can take a break during the day to let your taste buds recover. The great chef Slim Bettaleb, will whip up original gastronomic dishes for you. At the hotel's spa, run by the Clarins brand, you can enjoy treatments delivered using natural products that are highly regarded by the greatest connoisseurs. The Spa also boasts two large outdoor pools, a semi-covered pool, a fitness suite and a yoga room. La Badira hotel is ideally located close to the beach, in the heart of Hammamet and 3km away from the Medina of Hammamet. Tunis-Carthage and Enfidha Airports are respectively 73 km and 45 km away from the hotel. Please note that this hotel is only for adults and children aged over 16 years of age. A dress code should be respected. For example veiled dresses are not allowed in the swimming pool. Only bikini or one piece swimsuit/trunks are accepted. The airport transfer is for 2 guests maximum. 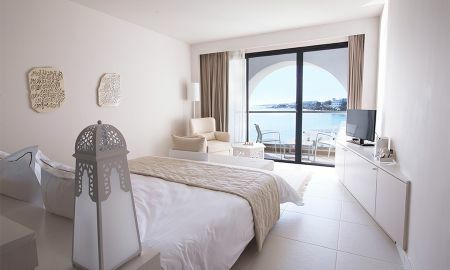 The tourist tax is 1 € per person and per night with a ceiling of 8 € per person whatever the number of nights booked. Please note that the swimming pool of the "Suite with private pool" is heated.